Well, I’m going to have to go with Adam on this one. That is crazy that you noticed that. However, thank you for pointing out Helvetica’s nice curves. These curves of Helvetica… unneeded. 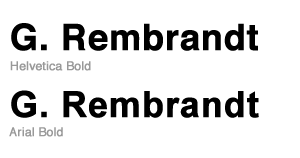 It’s kind of an eye-candy that was removed with “Helvetica Neue” nearly completely. Next Next post: Thanks MS. But I don’t want to disconnect from the Internet.